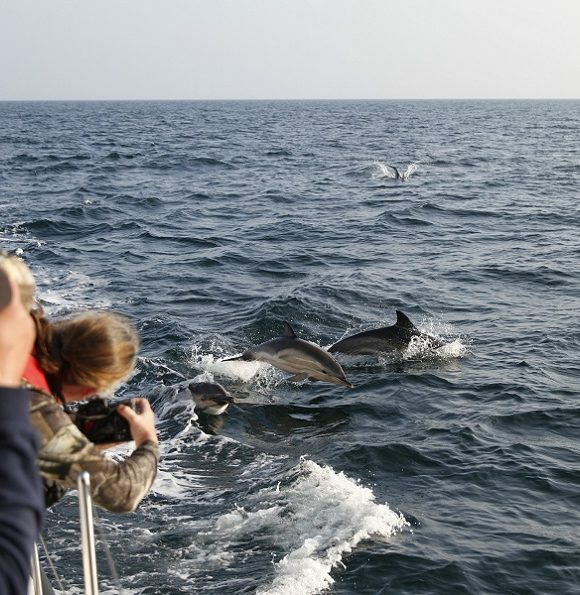 Pembrokeshire’s offshore islands are famous for their incredible natural beauty and fantastic array of wildlife, both above and below the surface. Skomer and Skokholm islands and their surrounding waters are home to a huge variety of birds, including the largest Puffin Colony in Southern Britain, and the largest concentration of Manx-Shearwaters in the world. While Grassholm Island, slightly further offshore, is home to one of the largest Gannet Colonies in the world with over 39,000 pairs. 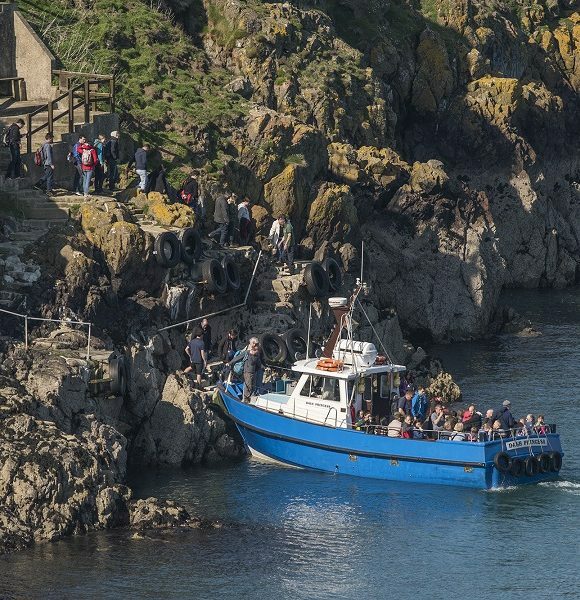 We have been operating boat trips to explore this offshore wonderland for over 40 years, and we’re extremely proud to be able to share this very special part of the world with you. We offer a variety of ways to experience these beautiful islands, whether you want to land and explore for yourself, take a gentle cruise through the idyllic surrounding waters, or opt for a high-speed adventure on one of our Sea Safaris, we aim to provide a little something for everyone. Take a look around our site to find the perfect trip for you . . . if you still can’t quite find what you’re looking for, or you’d like any further information, please contact us and we’ll be happy to help! 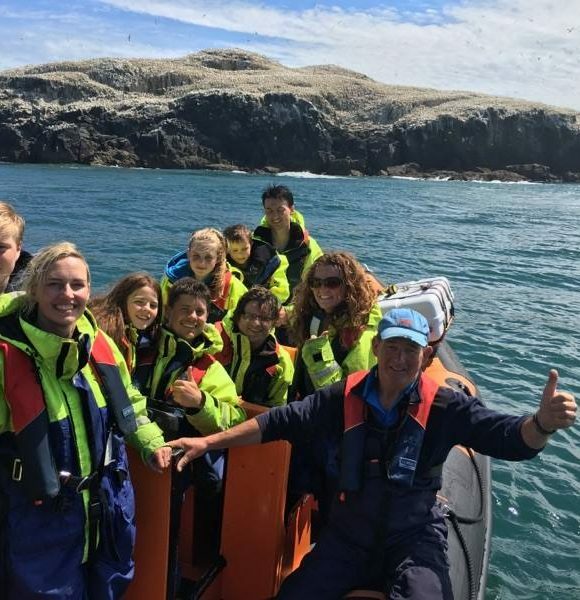 Land on Skomer Island – spend the day exploring the beautiful island nature reserve and see the thousands of Puffins, Guillemots, and Razorbills, along with a host of other birds and wildlife. Gentle cruises through the surrounding waters and bays of Skomer, or further offshore to Grassholm Island and it’s incredible Gannet colony. 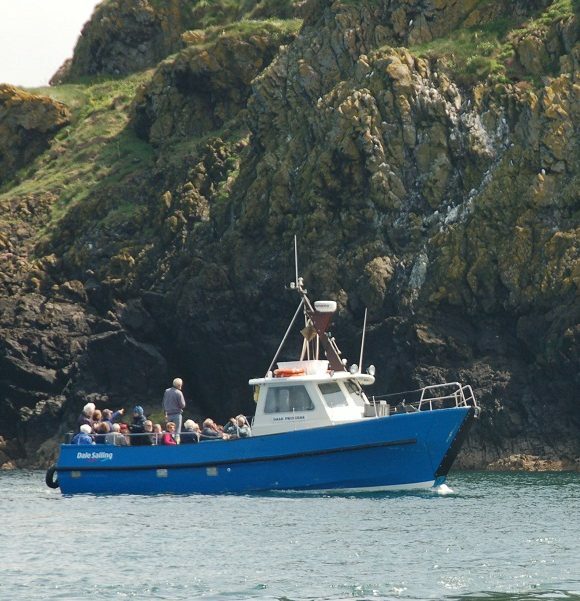 Explore the cliffs and coves of Skomer, Skokholm and Grassholm. See the wildlife that surrounds the island, take in the spectacular scenery and cruise across open ocean. Charter one of our vessels for your private party, a perfect personalised option for families, birthday groups, research/education groups, client hospitality etc.